Another amazing day at Looe Key! From the usual Atlantic Goliath Grouper suspects, to a few Spotted Eagle Rays gracefully gliding through, it was a day of the huge. 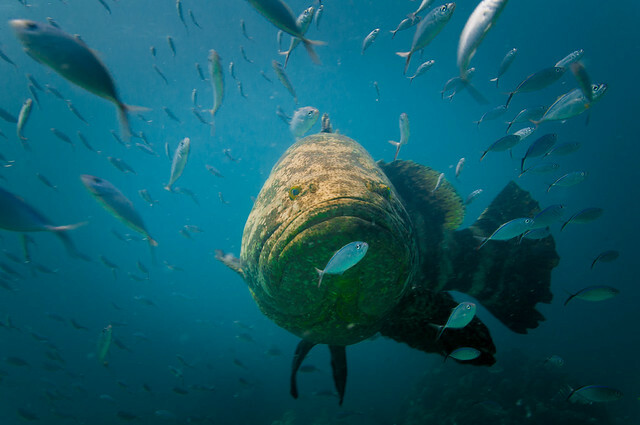 A giant Goliath Grouper who just wants to be friends! 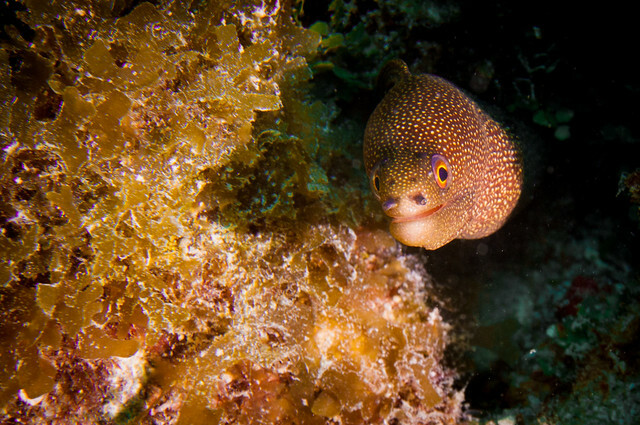 This little spotted eel just looks like he’s looking for a friend! It was a friendly day on the water! 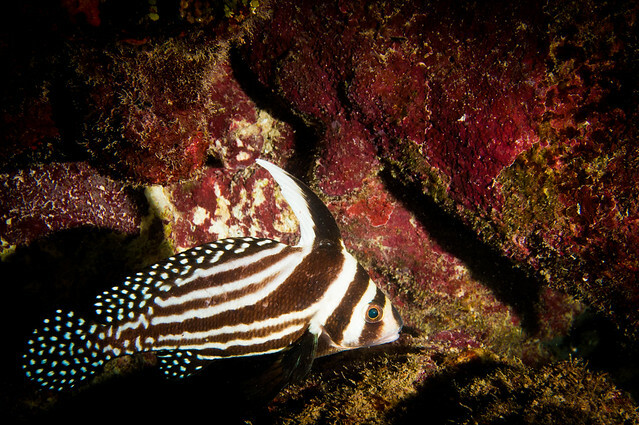 Spotted Drum hiding under the reef, with their crazy dorsal and combination of spots and stripes. 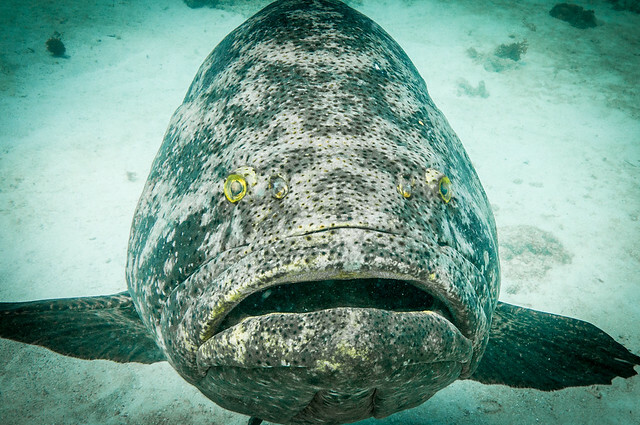 These massive Atlantic Goliath Grouper simply dwarf all other marine life on the reef. There are videos on Youtube of these guys eating reef sharks. I love pelagics! 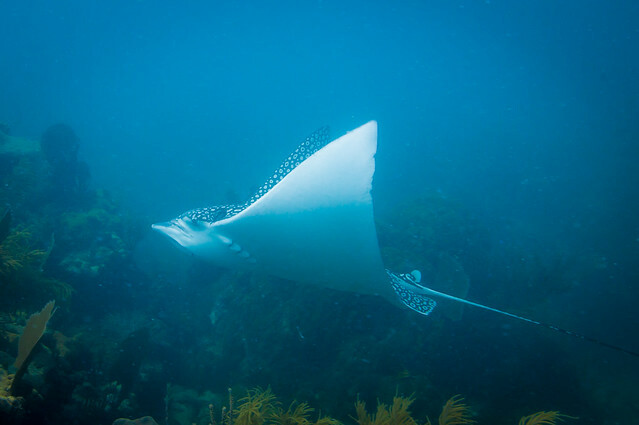 These spotted eagle rays glide through the reef so effortlessly and quickly that you’re lucky to catch on on camera.